It’s not often we run into this kind of “issue” (I use the term lightly) but The Demonplague is absolutely massive. The adventure is broken into four parts each of which are larger than most 3rd party published adventures. As a yardstick, the Wizards of the Coast 5e published adventure Curse of Strahd that takes characters from level 1-15 is 258 pages. 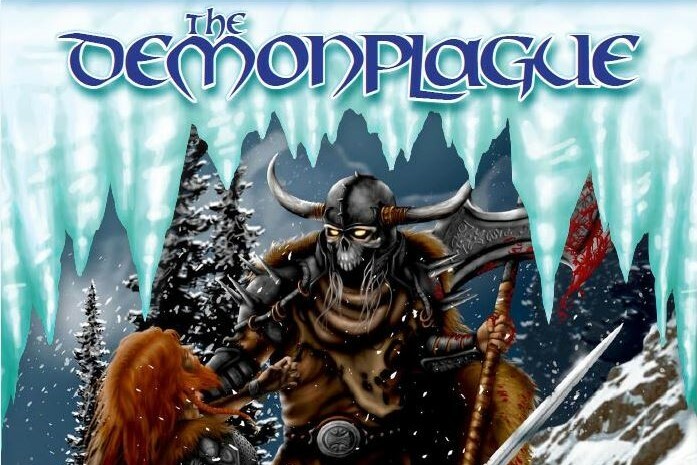 In contrast, The Demonplague weighs in at a hefty 395 pages. Some of those pages are filled with introductions and forewords/covers for each of the 4 parts, but still: this boi is a chonk. Alternatively, people who purchase the adventure can opt for the single column, tablet friendly, version that has all 4 parts in a single 626 page PDF. Woah. So the adventure sports a lot of preamble and time dedicated toward assuring purchasers that it can be dropped into any setting, any game, any world and ran with no issues. How it manages the herculean task is by giving a gargantuan history to pull from stretching back thousands and thousands of years. The Background for this adventure set is a cross between a Primer and a Novella detailing the history of demons, plagues, plague demons, star elves, druids, sacrifices, and a particularly noteworthy valley where no one should live that gets struck by a comet of all things… Reading through these few pages is pretty paramount, as well as the adventure synopsis, to get a feel for where the adventure will be going. Here’s why I said “aerial view” earlier: I will not be deep diving into this adventure. It’s far too big. But I can provide you with my overall thoughts and impressions from skimming the work in its entirety. avoid muddying waters as far as presentation is concerned, but lets see how The Demonplage handles it. Note: The Adventure Summaries listed in the text of this adventure is not overly helpful in compiling these lists, as there is miles of room left for your players to veer themselves off course and do things completely differently than you’d imagine they would. As such, these summaries are my own and are probably bad – but with 600 pages looking at me, I did my best. IF YOU ARE WARY OF SPOILERS, SKIP AHEAD TO THE NEXT SECTION! 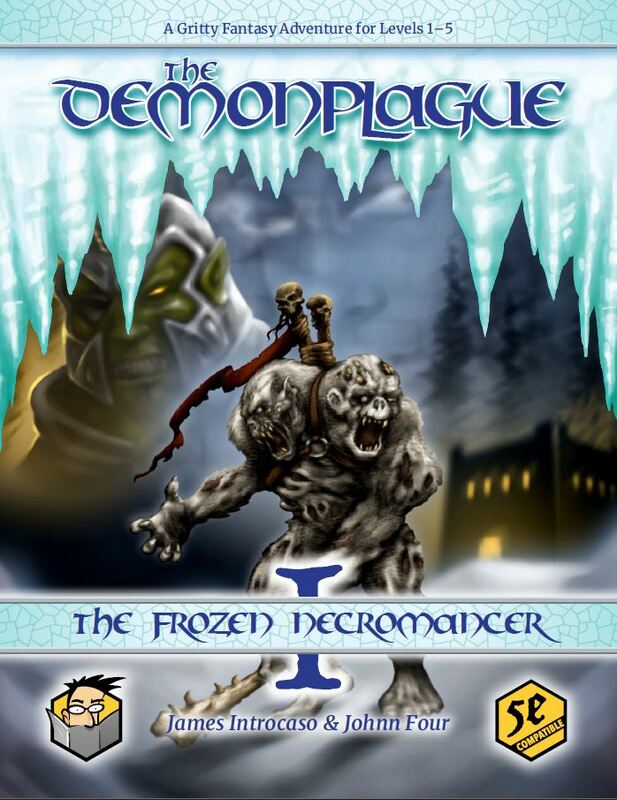 The Frozen Necromancer sets the stage for the entire adventure. The characters are plopped into the Luna Valley – a gargantuan expanse of land full of craziness. There’s a laundry list of encounters they could stumble across with dozens of potential treasures and locations. Eventually they may (or may not, who knows?) find Tomar’s Crossing, a little town where they’ll spend a lot of their time – the outpost from which the adventure grows out from. The characters, true to point-by-point plots, are led toward an objective, which leads to an objective, which leads to an objective. Where to go is pretty apparent, which is good, but player buy-in needs to be maintained to keep them interested in grabbing on to the next leg of the adventure. 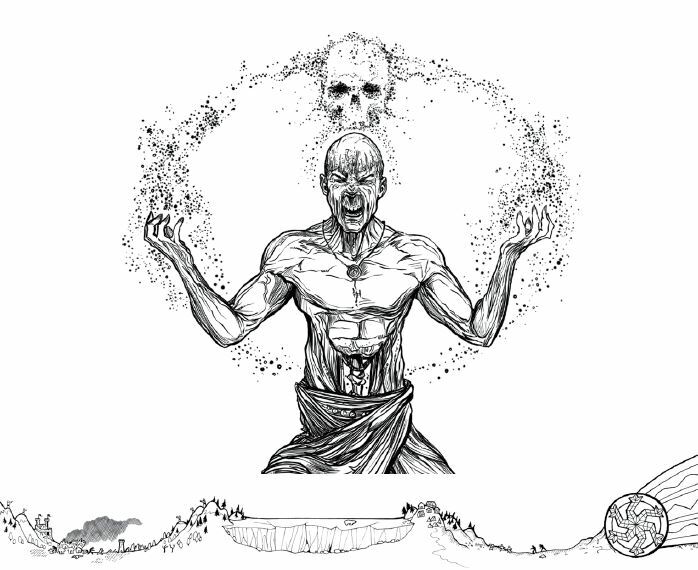 The Frozen Necromancer culminates in a confrontation with a literal frozen necromancer and a potential political entanglement in Tomar. A good blend of fantastical, mundane, deadly, and relatively safe. The Winter Druid Legacy. This leg of the overall story revolves around finding the components for a ritual to stop all this craziness and destroy the Demon Plague. 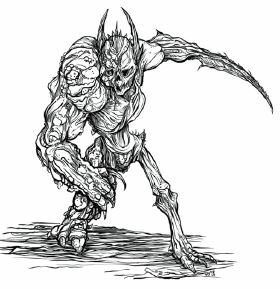 They handle the political issues arising from Tomar, and finally battle a band of demons who are attempting to stop the adventurers. Finding the components for the spell (all 8 of them) takes up practically all of this part of the adventure. Should your players not enough “fetch quests” – this could be truncated pretty easily, but there are a lot of small adventures here to pull from should the need arise. 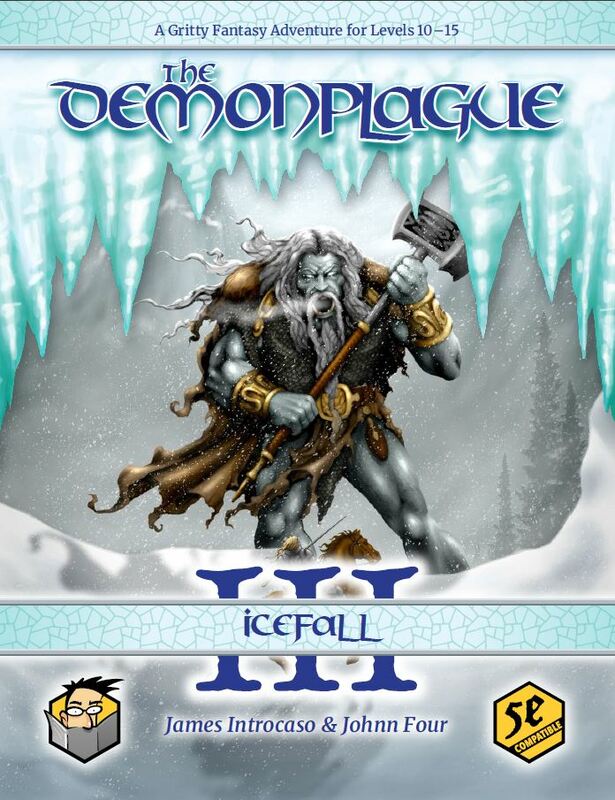 Icefall. This marks the third part of the adventure and kicks off around level 10. The adventure begins with trying to track down a missing ghost the party needs to cast the spell from The Winter Druid Legacy. It moves into a more open ended, random platform for the players to decide what to do in order to stop the threat. There are several options outlined in each of these books, though some appeal much more than others. Regardless, the ritual is pretty central to any course of action. This book also focuses 100% of the character advancement on the number of encounters. It also precedes every new level for the PCs with a predetermined encounter. A very “videogame” way to handle things, but it also gives an open door for DMs to speed up the leveling from 10-15 at whatever pace they want. 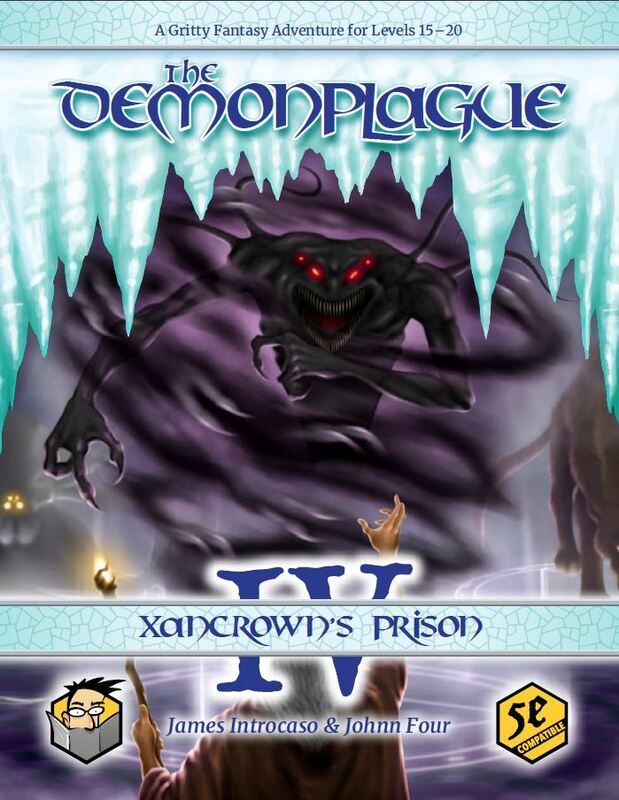 Xancrown’s Prison, the final installment, is primarily a dungeon crawl that wraps up the last five levels, all the way to 20. The PCs make their way into this dungeon, track down 5 guardians, take the guardians’ keys, open the ancient cell and defeat the demon inside, and finally cast the ritual started 10 levels ago. 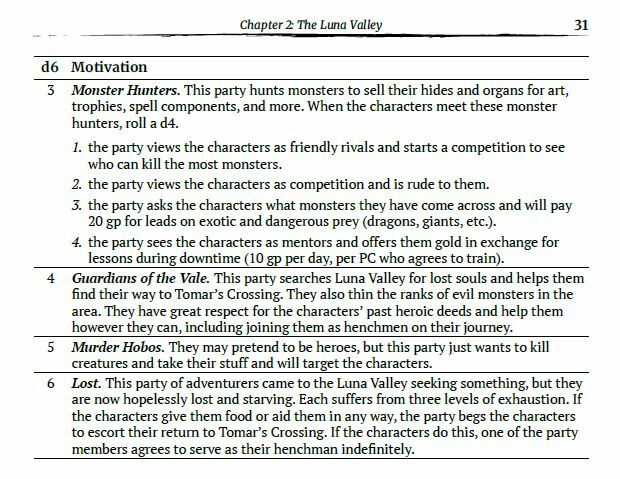 It’s a pretty simple recipe (add adventurers to dungeon, mix in 5 keys and a bunch of monsters, bake at 350 for 10-15 sessions) but there’s a lot in these 50 pages to delve into. Extremely encounter heavy – you can expect between 30-60 encounters in this dungeon alone. 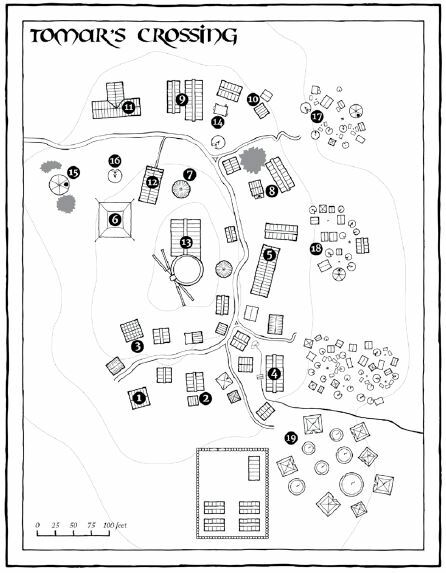 If most parties tackle 6 in an adventuring day (usually people do 3) your PCs will be in here the best part of a week, and slow groups that meet once a week may be here for half a year. This is a book written for the Dungeon Master. It’s a tome of stuff they can pick and choose from, routes they can take, things they can use. It’s got tons of NPCs, loads of monsters, charts for encounters and treasure, maps, all kinds of things. It feels like if your players go left, right, up, down, or to take a nap, there’s something for them to find. It also does a pretty good job of presenting far-and-away enough information for any DM to run any given location on the fly. Flipping to a completely random page in The Frozen Necromancer, you can pick up and run with any location or NPC pretty easily with very little prep or planning, given your adventurers don’t attempt to soak up all the information too quickly. Of course, nothing can withstand an onslaught of players trying to beat it apart, but this will at least leave them out of breath. What you get with this adventure is enough play material to last you… I’d have to only guess a few years for a roleplay heavy group, or at least six months for even the fastest playing min-maxing murder enthusiasts. That’s a whole lot of bang for your buck. “What you get with this adventure is enough play material to last you… I’d have to only guess a few years.” This adventure is well written and well edited, but it’s built so very wide and shallow. Let me elaborate: there’s almost no time over the course of the adventure where the DM or Players will not know what their next objective is. “Find the jade gauntlet” or “clear out the stronghold” or “get the keys” by example. But to make the objectives so easy to follow, they’re build pretty shallowly (after all, “get the keys” at level 18 doesn’t impress a great deal of required expertise, even if the setting and creatures involved do.) Instead of being something like force the magus hiding in High Rock to finalize the incantation for the spell it’s find the eagle eggs for the magus to finalize the incantation. The difference is small, but when repeated so many times becomes pretty obvious. The sandbox is full of things that happen and places to check out – but much like a lot of people’s issues with Storm King’s Thunder it can break verisimilitude for a lot of people; having a horrific impending plague in the throws of consuming the valley, but spending several months at-the-table checking out windmills, dealing with bandit strongholds, and bumping into random giants. Any tension build in the first act may be lost if you spend too much time in the second and third acts – which have quite a bit less meat in terms of cool objectives to complete, even if the world surrounding those objectives is extraordinary. I also have to talk for a moment about the layout of the adventure. For the most part, it’s strong. The black and white color scheme is easy to print, the 12 point font is easier to read for people with vision impairment, and should someone actually print it – there is very little wasted page space. However those strengths also breed into existence a new weakness: it’s very tightly packed. During the course of this review, while looking for things to talk about, even I’d get a little lost as to where I was in all these black and white type-filled pages. I do hope that this is not a problem for many of you, as I understand and respect the desire to condense it as much as possible, but I’d be remiss if I didn’t at least mention my reservations. A suggestion I have if it trips you up, pay attention to the HEADER more than the page number or the overall look of the layout – it’ll keep you grounded. Write yourself a larger, more comprehensive “Adventure Summary” for these books. As it stands, there is just barely enough information for you to follow at all because it is meant to be open ended and sandboxy. Giving yourself more direct and keen insight into exactly what is going on will help them navigate the entire work more easily – I suggest writing one for every chapter, if I’m honest. Chapter 3 pg 26, Chapter 4 pg 34, Chapter 5 pg 46, and Chapter 6 page 51. Don’t get overwhelmed. Dig deep into Part 1 and 4, breeze through Part 2 and 3. 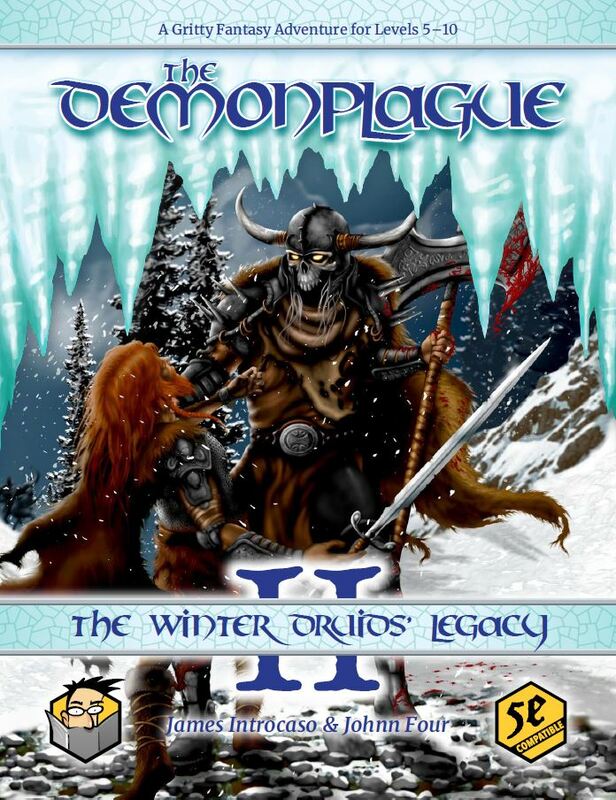 While I commend the effort and skill used to create part 2 and 3 of this adventure, it’s sometimes easy to bog things down and have campaigns fall apart. Adventurers need to feel, see, smell, and make out with progress. Not just level progression, but key story progression. The goal here is “Destroy what’s making the plague.” Part 1 and Part 4 are the most direct at hammering in that point. I’m glad I got a look at this thing! It’s a big mountain of an adventure and I cannot imagine running a crew through even half of it (as written) in my lifetime (it took us a year to beat Curse of Strahd and we didn’t even see all of it), but it’s got so many moving parts that it can practically stand alone as four separate adventures. If you follow my approved frame of thought: steal everything you possibly can and use it wherever you want – then you should absolutely consider picking up this book here: Demonplague. A call-back to days of yore with dense 2e style writing and massive sandboxes, dungeons, and a huge cast of NPCs, I’m sure there’s enough here for you to use to more than be worthy of the cost of admission!